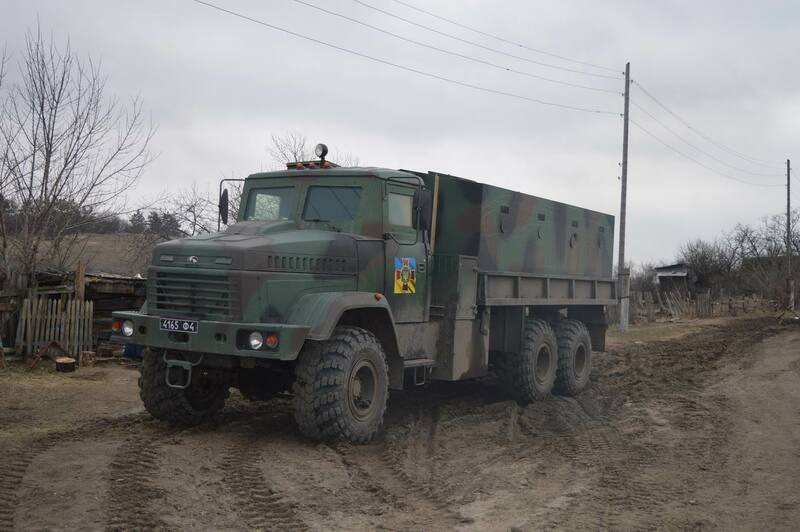 The Governor of Lugansk Region Moskal delivered humanitarian aid to Krymske under MRLS fire using KRAZ armored truck. Civilians from Krymske village will be evacuated with the help of armored vehicles. 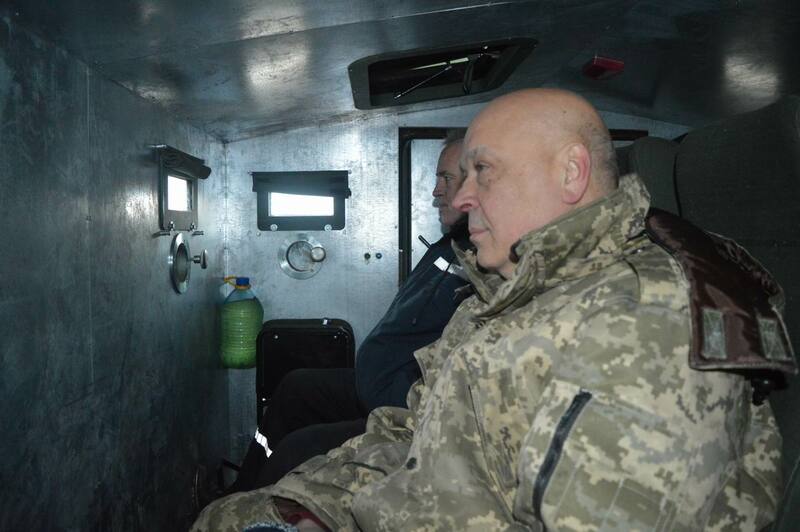 When the Governor Moskal visited the village, the area was shelled by “Grad” MRLS, 2 soldiers were wounded. Krymske village is located few kilometers from former Ukrainian Army checkpoint #31 on Bahmutka road. 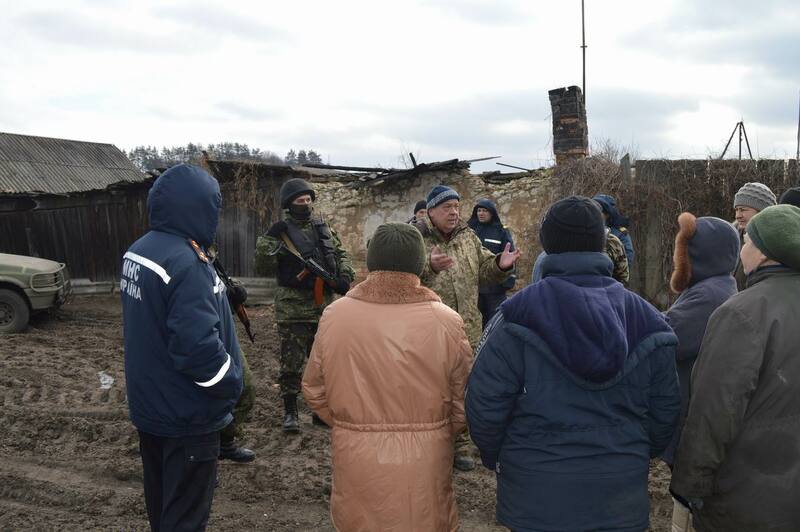 For the last 2 months the village is under constant artillery fire, the central part of Krymske destroyed almost to the grounds, many houses have only walls left. Most of the people left the village to safer places, now there are about 250 civilians left (there were 1500 people before the war). Because the Bahmutka road is under fire from the side of terrorists, the only way to get to the villages is from the side of Svitlichne. The dirt road there is in terrible condition after military vehicles, so regular cars or trucks can’t go through there, so the last few kilometers they had to deliver humanitarian aid using KRAZ armored military truck. Krymske is left with nothing to survive. There is no electricity for over 2 months, it is not possible to restore it as the damage made to the power line is very serious. And there is no waters supply since there is no power. There is no food in the shops as businessmen are afraid to go there because of the constant shelling and regular transport will not be able to get there also. We brought the truck with food to the villagers and also blankets, medicine, soap and so on, this should be enough for about a month. I talked to people and some of them said they wanted to leave to safer place out of Krymske. People from other villages are able to leave when there is a break in shelling, but because the roads are broken people are trapped in Krymske. I talked to Ukrainian Army and they promised to evacuated everybody who want to leave this week. Villagers will be evacuated to safe place with the help of armored trucks. 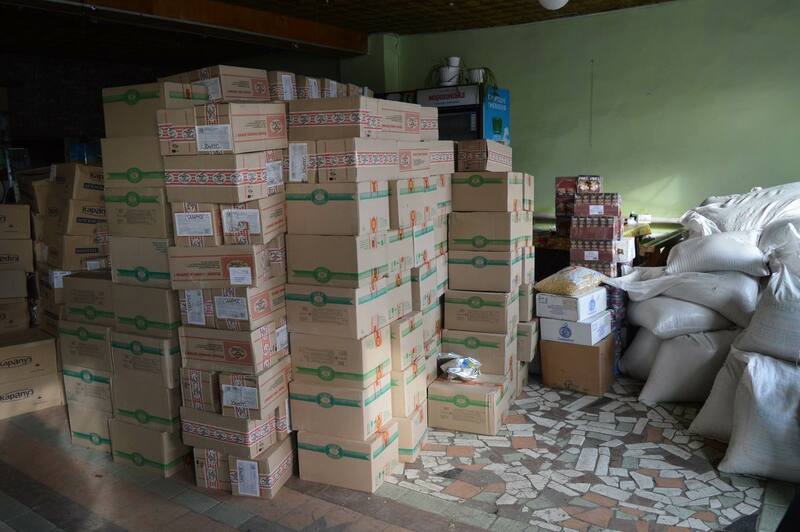 And we will keep helping locals who are still in Krymske. Soon we will bring pensions there with the help of Ukrainian Army and after that new part of humanitarian aid. People must see that government takes care about them. – The Governor of Lugansk Region, Hennadiy Moskal. During the visit terrorists shelled at Krymske using “Grad” MRLS, two soldiers were wounded. No civilians got killed or wounded.